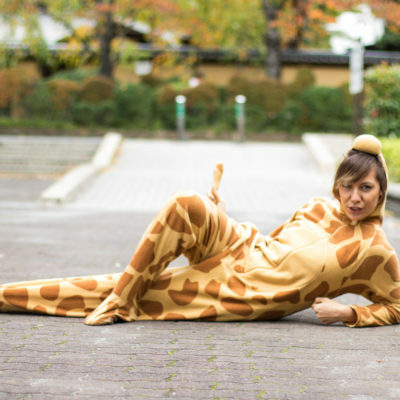 Hokkaido is a place that’s all about going into the wild. 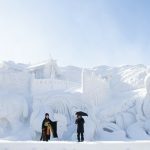 So what better way to experience my first time there than to go as spectacularly wild as it gets with a trip to Abashiri and the Shiretoko Peninsula – known to the native Ainu people as “the end of the world”? Never having been to the edge of the earth before, I wasn’t entirely sure what to expect. 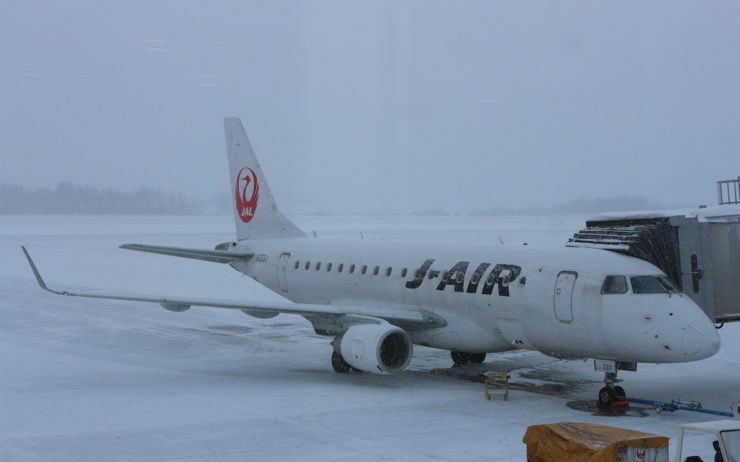 It also being the middle of winter, traveling to the northern part of Japan’s northernmost island seemed to present some possible challenges. 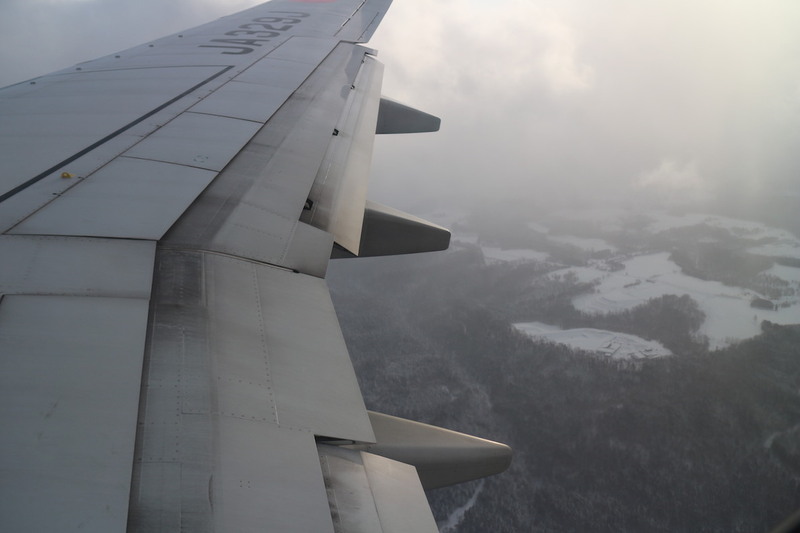 But in reality, visiting Hokkaido was one of the best travel experiences I’ve ever had. Here are 12 surprising reasons why. 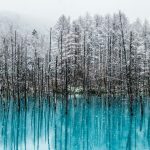 An epic island of mountains, wetlands, lakes, volcanoes, forests and rivers, Hokkaido makes up 22% of the total area of Japan but is home to less than 5% of the country’s population. You might think that traveling around all of those endless, unspoiled vistas would be difficult but in actual fact it’s impressively accessible. 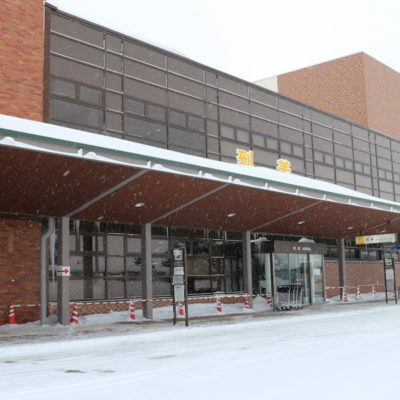 Arriving at Memanbetsu Airport, while I was all prepared to try my luck waving down a passing truck to explain, in my minimal Japanese, why I needed to be taken to Abashiri Prison immediately, the cheerful woman at the tourist desk simply pointed to where there was a bus for town already waiting. 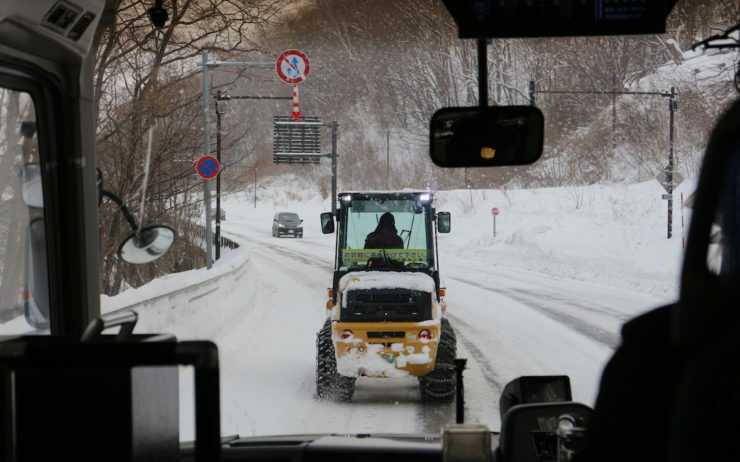 As remote as Abashiri and even the Shiretoko Peninsula – where roads cover only a third of the national park area – there was still a reliable bus network that shuttled us few visitors from place to place. 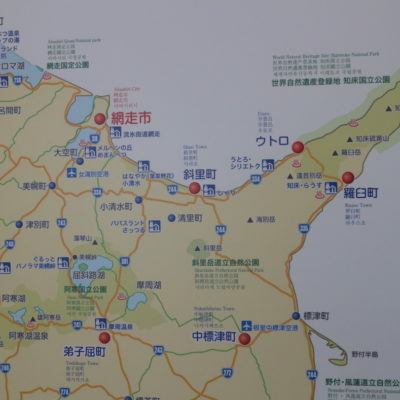 Trains also run between Abashiri and other major destinations in Hokkaido. 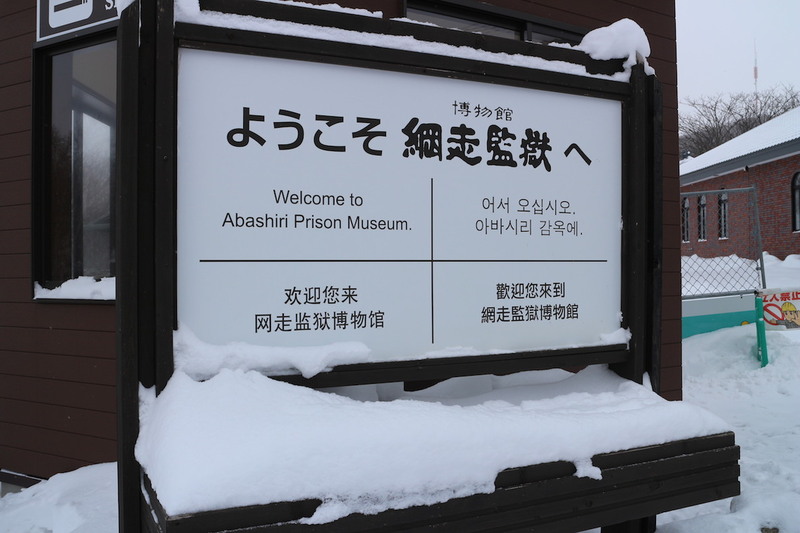 Japan’s most notorious prison, the name Abashiri still has the power to send shivers down spines. 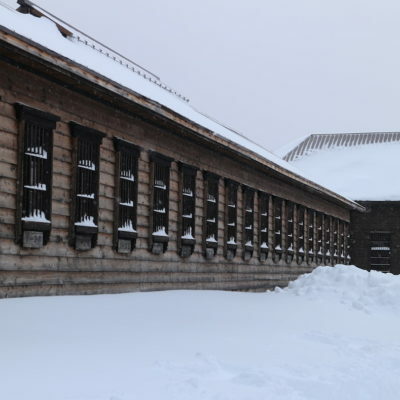 In the 1890s, over 1,000 of the most dangerous criminals were shipped to this isolated incarceration complex and put to work on building a strategic road linking Abashiri to southern Hokkaido. 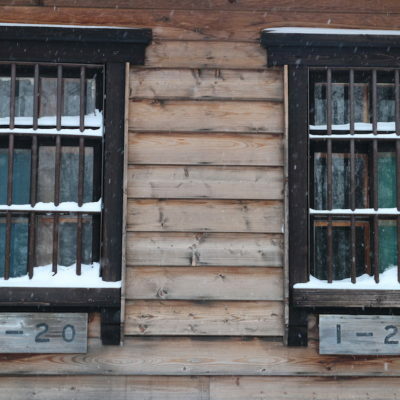 Working literally to death in freezing conditions, the prisoners are now commemorated in the Abashiri Prison Museum, a brick by brick replica of the original facility that’s full of eerie but interesting exhibits. Cheer yourself up with the adjacent restaurant’s “Prison Meal” – actually pretty tasty! 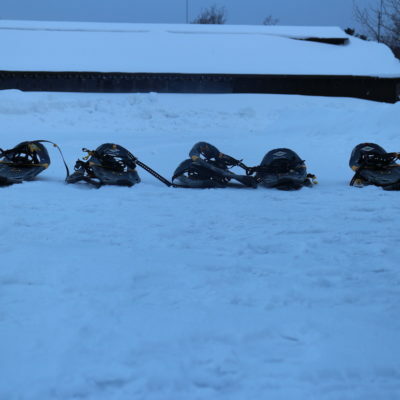 Though it’s becoming more well known, not even many Japanese people make it this far north. 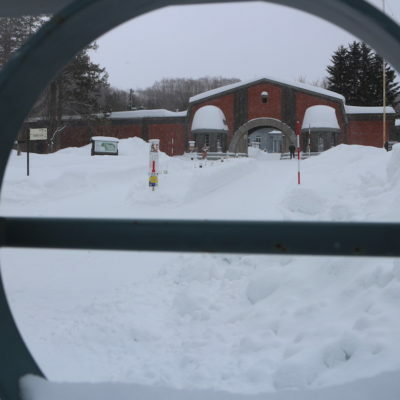 But tourists, especially those coming from Singapore, flock to these shores during winter for a break from, as one visitor I met said, “summer, summer, summer.” English-language signage is almost everywhere in Abashiri, Shari and the Shiretoko National Park. All of the museums I visited had displays in both Japanese and English too. 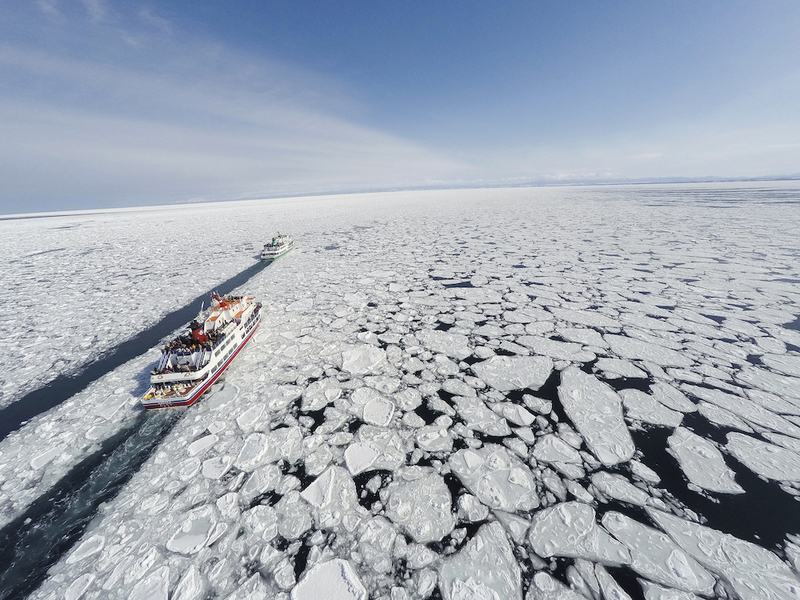 Every year from January to April, you can see floating sea ice on the frozen Sea of Okhotsk. 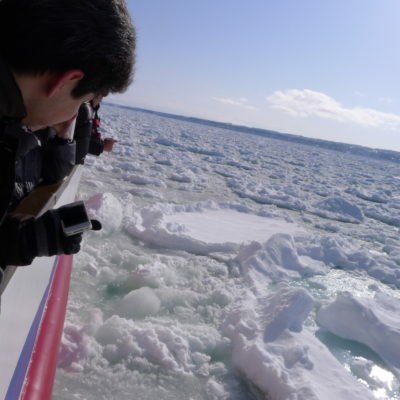 Ryuhyo (drift ice) gathers in thick, white slabs around the coast of Abashiri – the southernmost point in the northern hemisphere it can reach – bringing with it a migration of wildlife including spotted seals and their cubs, eagles and lots of clione, or sea angels (Abashiri’s cute mascot). 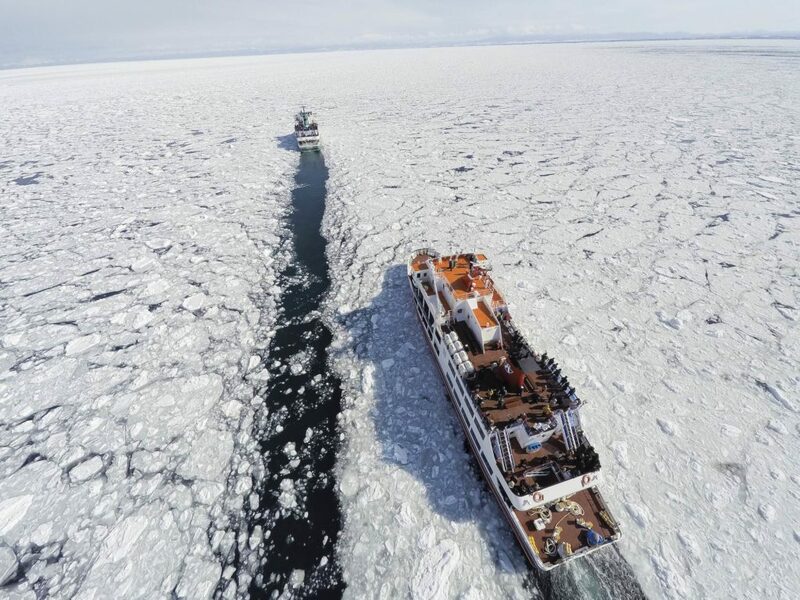 The Aurora Icebreaker is a special cruise ship that runs tours as dramatic as the name suggests; grinding and crunching its way through the ice floes. 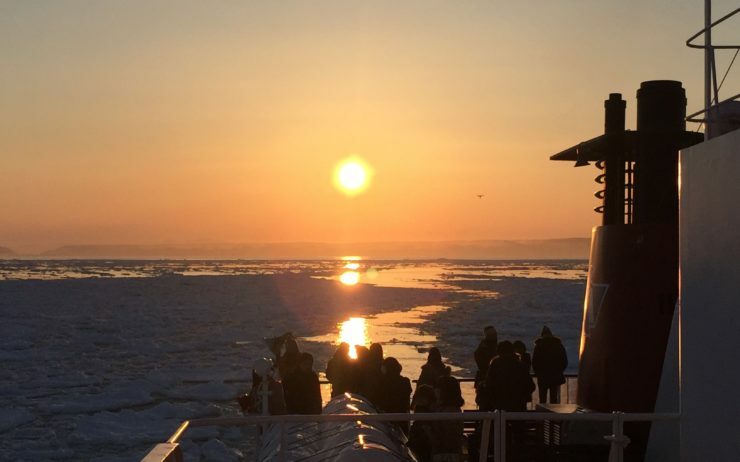 One-hour tours depart four to six times a day from where you can see the drift ice up close. Want to learn more? 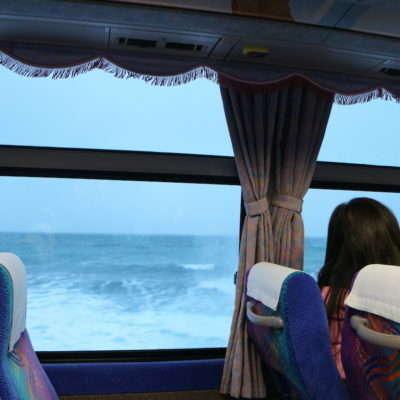 Board a direct bus from the port to the Okhotsk Ryuhyo Museum on nearby Mount Tento for interactive exhibitions and a 360-degree panoramic view of Abashiri. 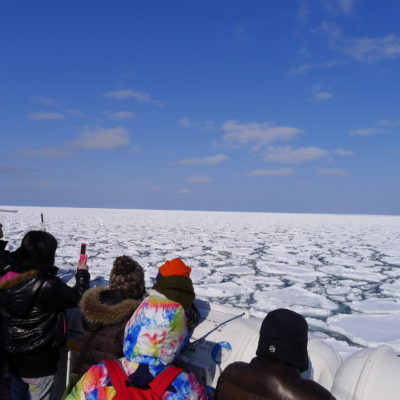 Daisetsuzan, near Asahikawa, Akan, near Kushiro, the Rebun and Rishiri islands; there’s no shortage of jaw-dropping natural scenery for you to explore – more than two million majestic acres to be precise. 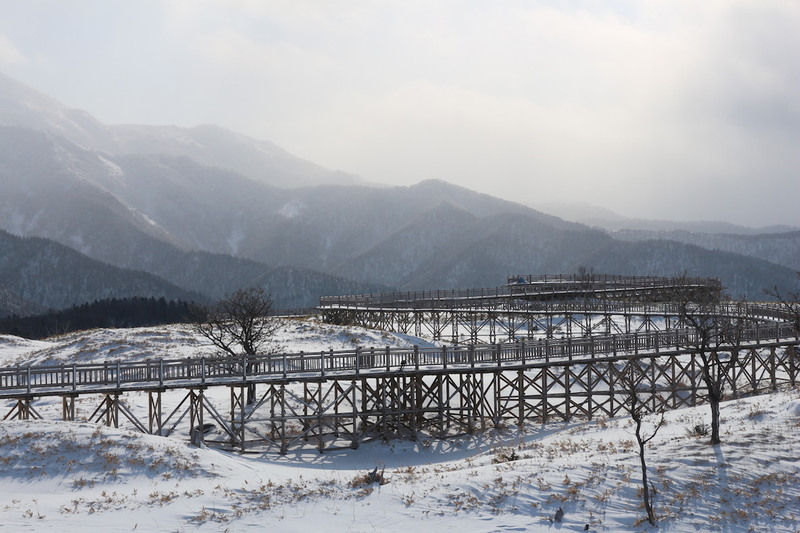 Memanbetsu is the gateway for access to the most far-flung and wild national park of all: Shiretoko. 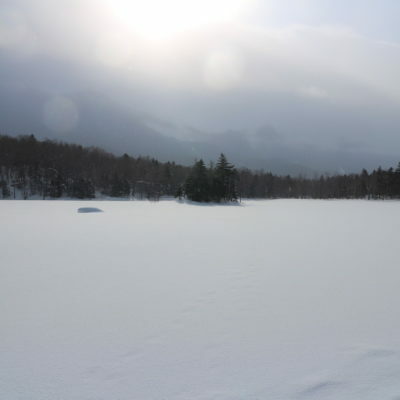 A UNESCO World Heritage Site, Shiretoko National Park is the kind of place where being compelled to become a hermit and live in nature is a genuine risk. 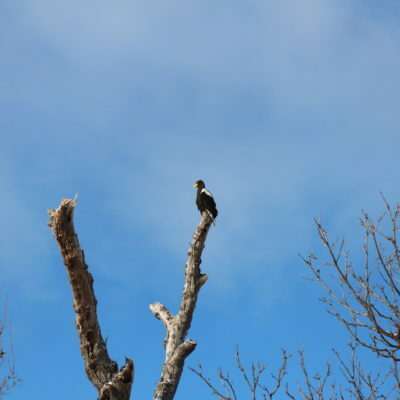 It’s astoundingly beautiful, boasting one of the richest ecosystems in the entire world, and offers extraordinary opportunities for trekking, camping, canoeing and other outdoor activities that vary between seasons. 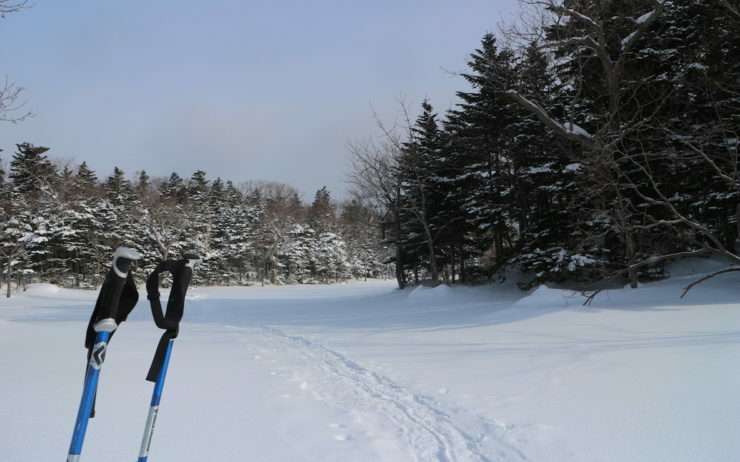 I went snowshoeing around Shiretoko Five Lakes and for much of the three-hour tour, it was just me, my guide and the stunning scenery. 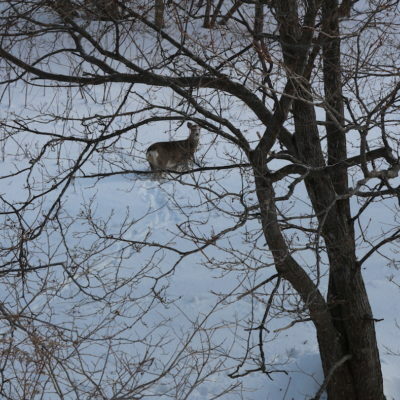 A red fox foraging in the snow, sika deer bounding through the forest and white-tailed eagles circling over shimmering lakes, Hokkaido is a true animal kingdom. 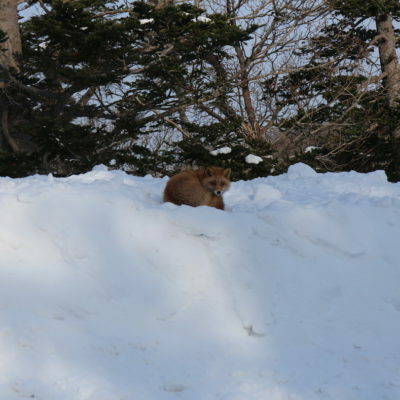 On the Shiretoko Peninsula it’s brown bear, or higuma, territory. Around 600 bears roam these parts and hikers are strongly advised to take the proper precautions. 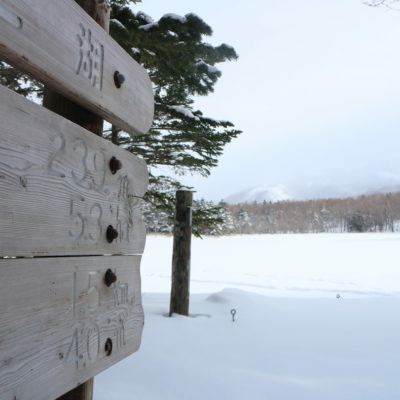 Shiretoko Five Lakes is an especially popular higuma hangout and my snowshoeing guide would casually point out the fresh claw marks on the trees we passed. 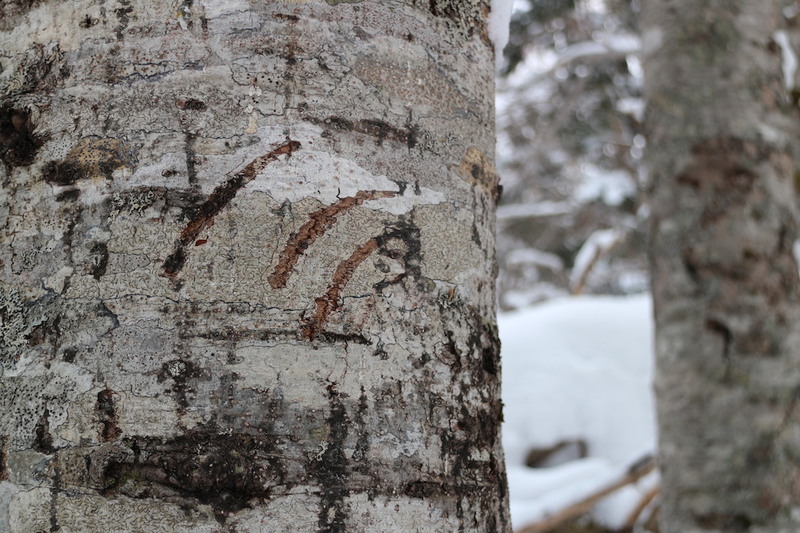 Coming from England – where the most dangerous animal is a badger – and seeing their scratches made me want to jump with joy (and then run for my life). 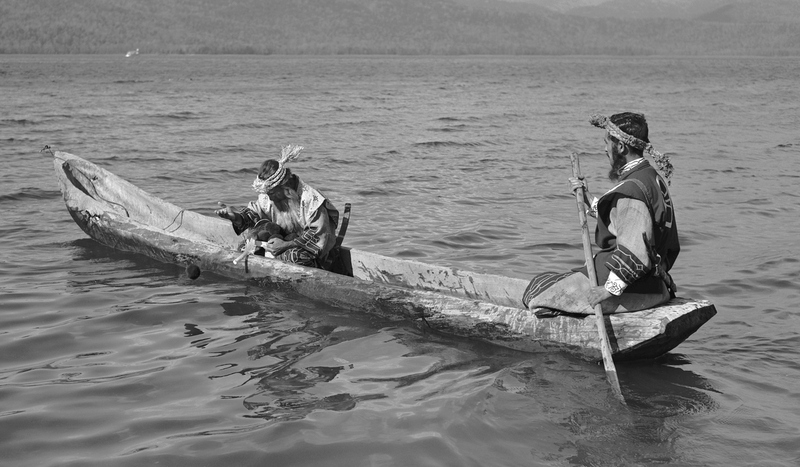 The indigenous hunter-gatherers of Hokkaido, the Kuril Islands and Sakhalin, Ainu culture is finally experiencing a long-hoped for revival, promoted by the current descendants (of whom there are around 25,000, according to government statistics). 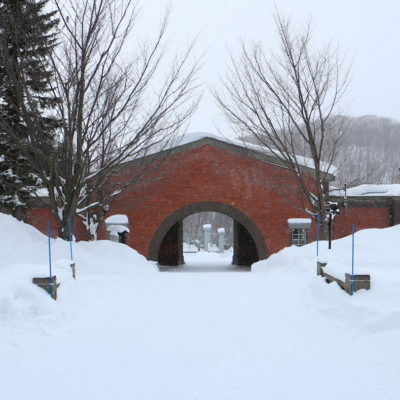 You can discover their unique language, religion, food and festivals in several different areas of Hokkaido. 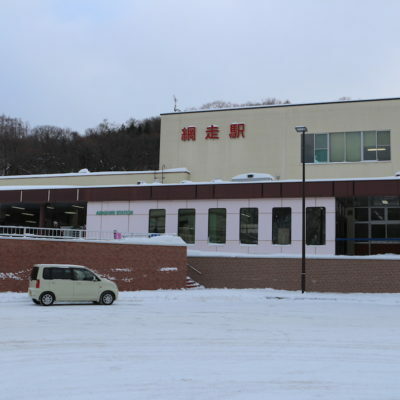 The modern Hokkaido Museum of Northern Peoples is a brilliantly-curated introduction to the different groups living in the northern subarctic regions. It’s just up the road from the Okhotsk Ryuhyo Museum. 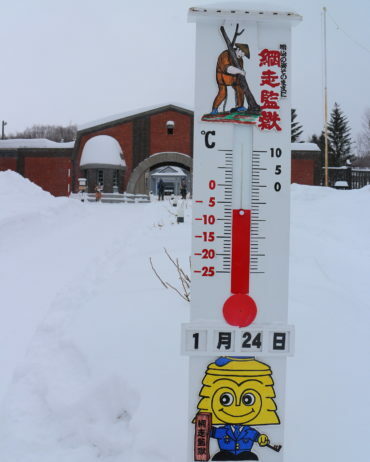 O.K., it was a bit chilly when I was there ( -11°C) but as long as you’re all bundled up when you go outside there’s no need to fear Hokkaido’s subzero temperatures. 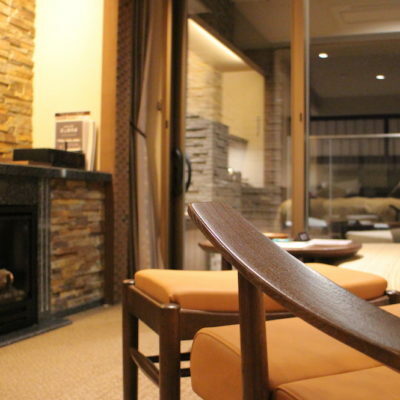 The rest of the time you’ll be bathing in the mineral-rich waters of regional onsen (hot springs) or eating an immaculate Japanese multi-course meal in front of an open place fire. 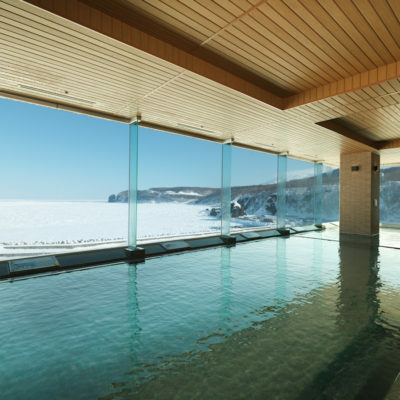 Because it is cold for a lot of the time, people in Hokkaido know how to do warm well. My picture-perfect room at the Shiretoko Grand Hotel in Utoro came with its own private outdoor bath on the balcony, looking out towards the Okhotsk Sea. Soaking in the steaming water, snow falling softly as I watched the sunset was almost too cinematic to be true. It. Was. Glorious. 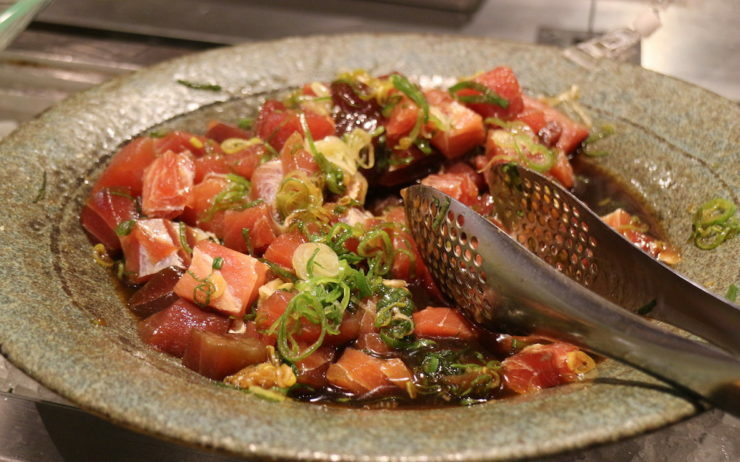 Everybody knows that Japan’s seafood is awesome. But get ready to have your tastebuds blown out of the water (gettit?!) when you try a slice of seaside sashimi. 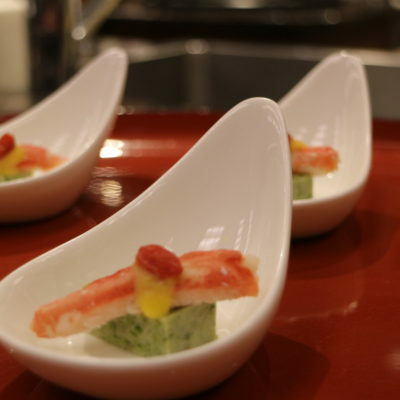 The Abashiri region is especially famed for its King Crab but there’s also whitebait and oysters, as well as freshwater fish in and around Shiretoko to try. 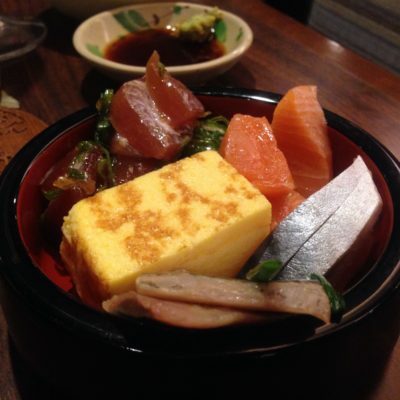 For my first meal in Hokkaido I had a make-your-own kaisen-don (sashimi rice bowl) piled high with different types of super fresh fish. And it was really, really, good. Actually it was amazing. Probably the best I’ve ever tasted. Did I mention how delicious it was? Take me back! That’s right: blue beer. Abashiri Beer Okhotsk Blue Draft contains local seaweed and melted drift ice water to give it its blue hue. 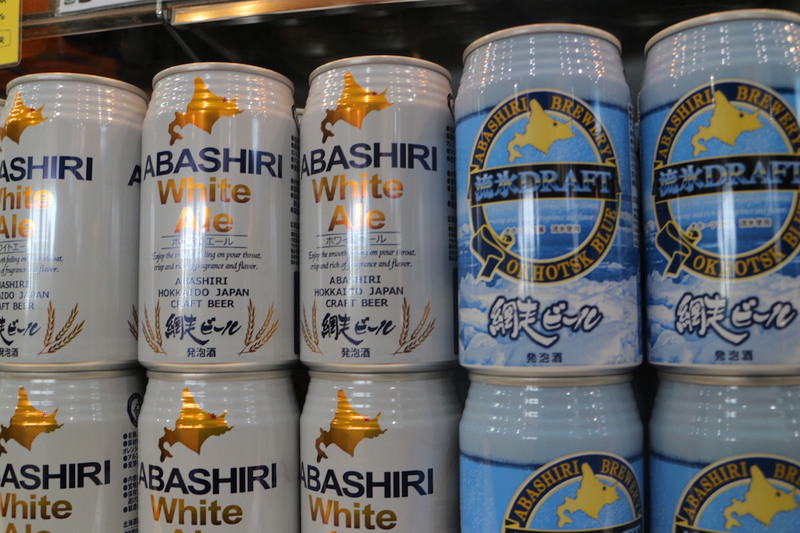 The Abashiri Beer Brewery started around ten years ago as a research facility under the Tokyo University of Agriculture but just recently gained exposure when their signature blue draft became available overseas. Cue global internet fame and a new town emblem. You can investigate this frosty brew yourself at the Abashiri Biru-kan which comes with an attached yakiniku (grilled meat) restaurant. 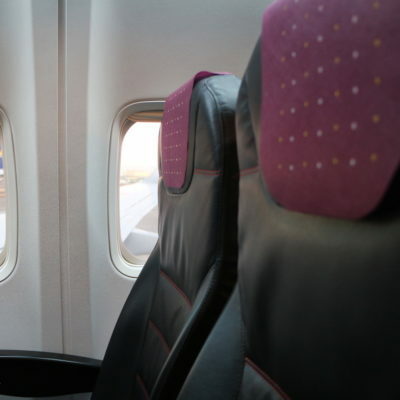 Stretch out in a plush leather chair with free drinks for just over an hour and you’ll be in Memanbetsu before you can say “end of the world.” Japan Airlines fly from Tokyo Haneda Airport to Memanbetsu Airport three times a day. 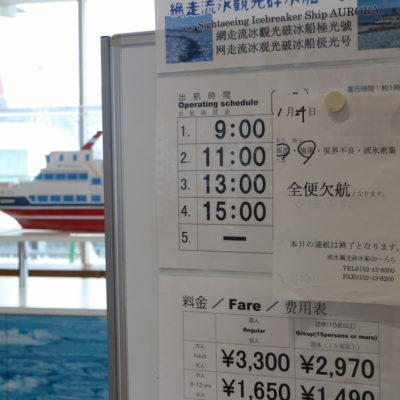 Flights cost just 10,800 yen with the Japan Explorer Pass: a convenient flat rate ticket offered to international visitors looking to explore more of Japan. 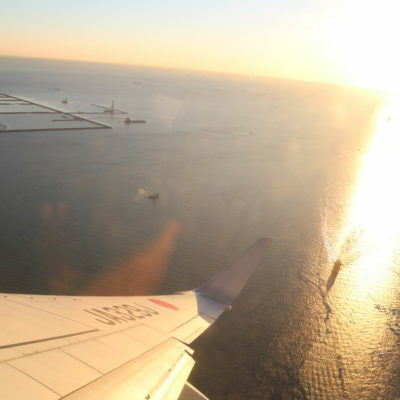 The view coming into Hokkaido from the plane window was incredible. Don’t believe me? Travel here and you might just surprise yourself. 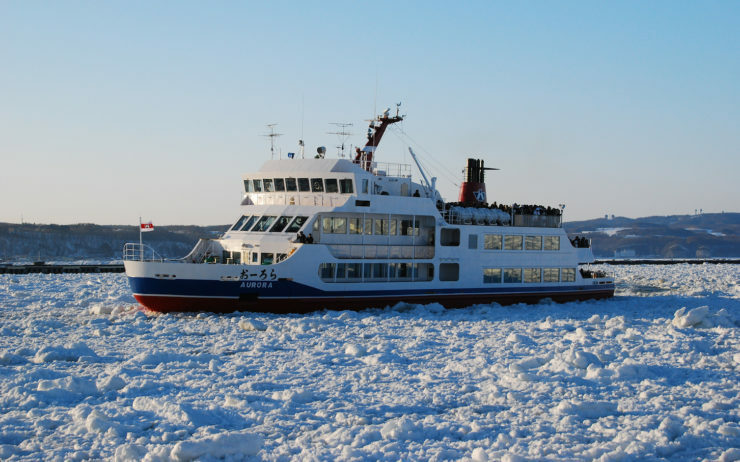 Buses to Abashiri’s main tourist sights (terminating at the Michinoeki Drift Ice Breaker Terminal between January and April) depart every 10 minutes from Memanbetsu Airport. 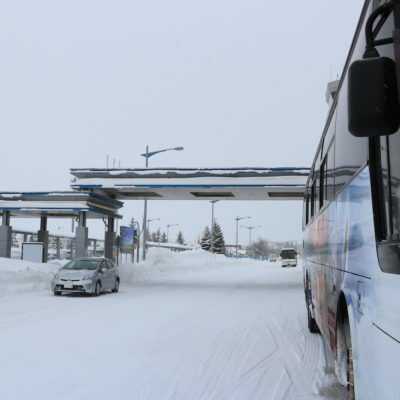 The Tourist Information Center inside the airport can provide more information on whether drift ice tours are running that day, since they are sometimes cancelled during bad weather. 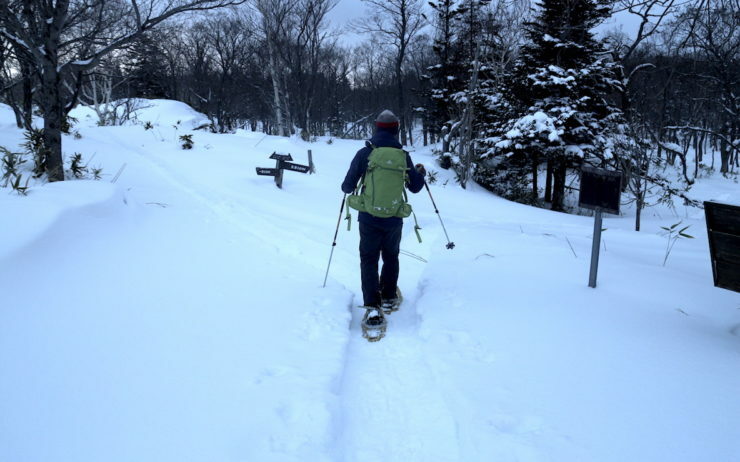 I did my snowshoeing with Shiretoko Arpa who run various tours throughout the year in English and Japanese. 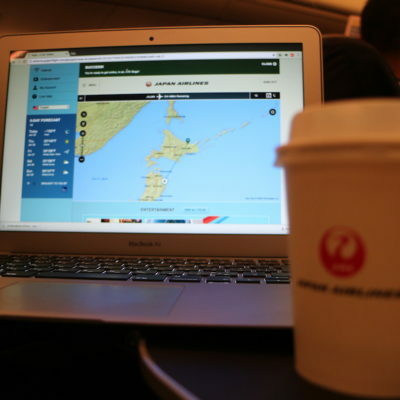 Fly all over Japan for ¥10,800 with Japan Airlines and the Japan Explorer Pass. 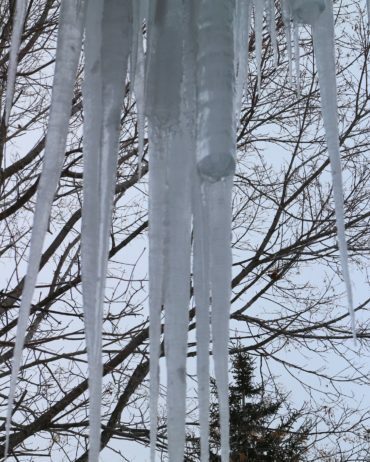 I lived in Hokkaido for about a year and 9 months and there are a few things that I would have to disagree about. 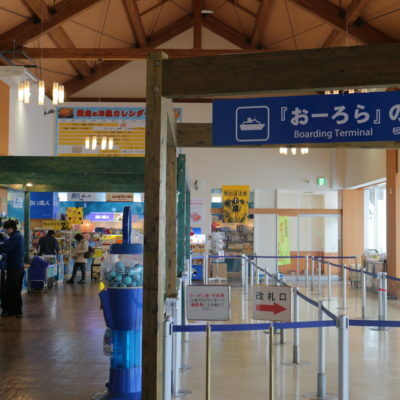 Traveling within Hokkaido is terrible. Most of Japan has Shinkansen to get you where you need to go in no time but the only Shinkansen in Hokkaido runs a short length from Fukushimacho to Hakodate. Getting to the national parks takes forever if you come from the south on a train. Also, as someone who finds unique cultures interesting I thought that I would have a chance to experience Ainu culture while I was there but it is basically gone. 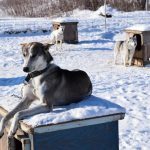 There are a few places where you can experience small villages that can give you an idea about what Ainu culture is like but it basically the same as Native Americans in the USA. That blue beer is absolutely terrible too. I’ll stick with 青鬼.